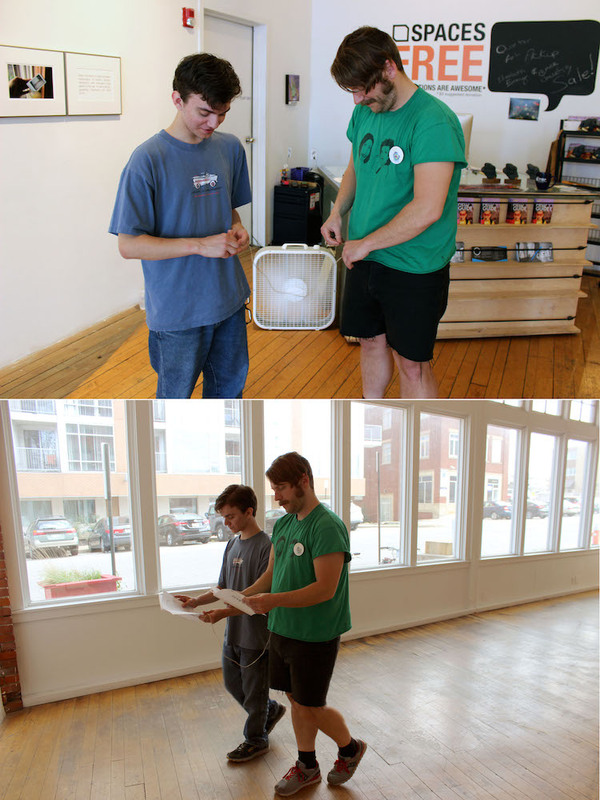 The Book of Everyday Instruction is an eight chapter work exploring one-on-one social interaction. The project investigates the particular states of flow, play, and conflict that we experience when interacting with only ourselves and one other. Conceptually, the project is the next step in my creation of performance work for no audience. The majority (if not the entirety) of The Book of Everyday Instruction’s performance aspects will be conducted without witnesses: as shared pair activities between artist and participant. These private works served as the research platform for more public exhibition elements. Each chapter had its own focus and central inquiry question, moving from direct ideas of partnership through shared activities or space, to more abstracted pairings, such as safety as a partnership between a person and his/her city. The odd-numbered chapters (1, 3, 5, and 7) were conducted as social practice projects, directly engaging with others; even-numbered chapters (2, 4, 6, and 8) were produced as studio projects. All eight chapters were on view for the first time in their entirety during Chloë Bass: The Book of Everyday Instruction at Knockdown Center from April 17 - June 17, 2018. This project has also been released as a book, published by The Operating System, and designed and edited by Lynne Desilva-Johnson. 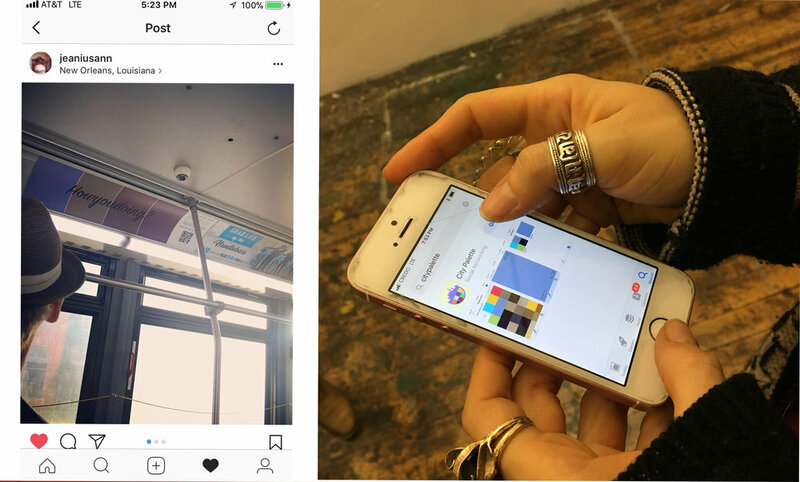 Two out of 16 photo and text diptyches (Theresa above, Jack below). 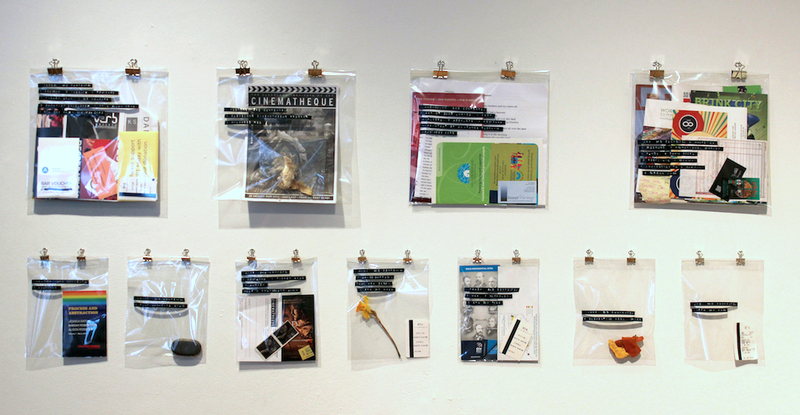 Bagged and labeled ephemera collected from interactions with participants. Games created for gallery visitors to view the exhibit in pairs. How do we know when we're really together? you + me together is a chronicle of time spent one-on-one. 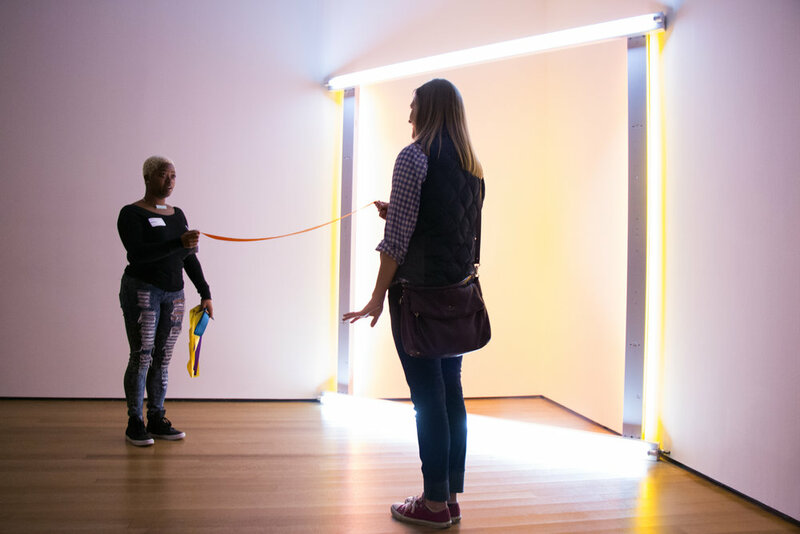 Cleveland residents were invited to spend an afternoon with artist me, engaging in an activity that the participant would normally conduct with a regular partner. 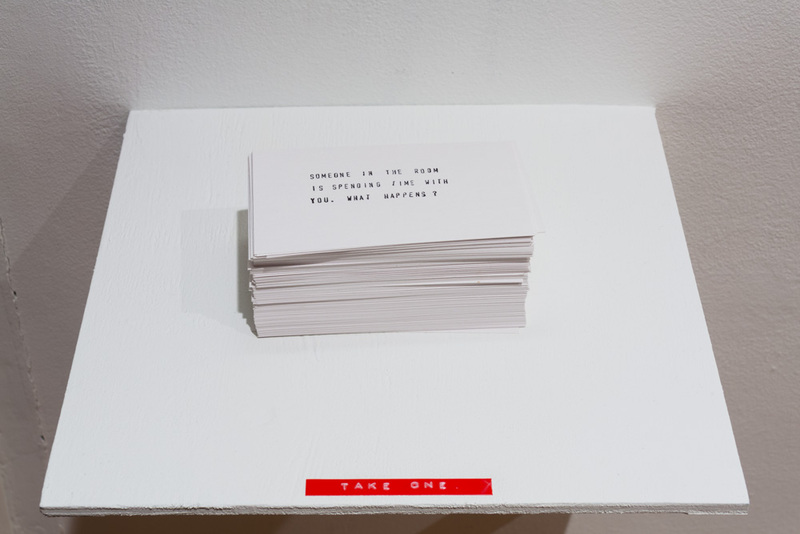 The 16 text and photo-diptychs, 107 instant images, and ephemera that compost Chapter One represent time spent with 16 strangers. My participants and I shared activities ranging from dog walks, to neon sign returns and cemetery visits. The amount of time they spent together ranged from one to nine hours, and took place at all times of day. Time spent together is imperfect. There is so much that we miss. Sometimes a great deal that we get wrong. This is one attempt at capture how we know when we’re really together. 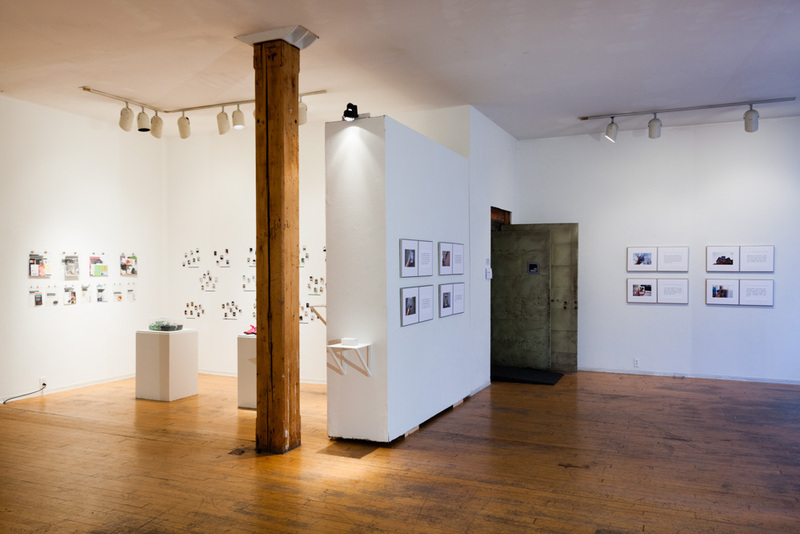 you+me together debuted as a solo exhibition at SPACES (Cleveland, OH) in May 2015. Poster released alongside video sculpture. 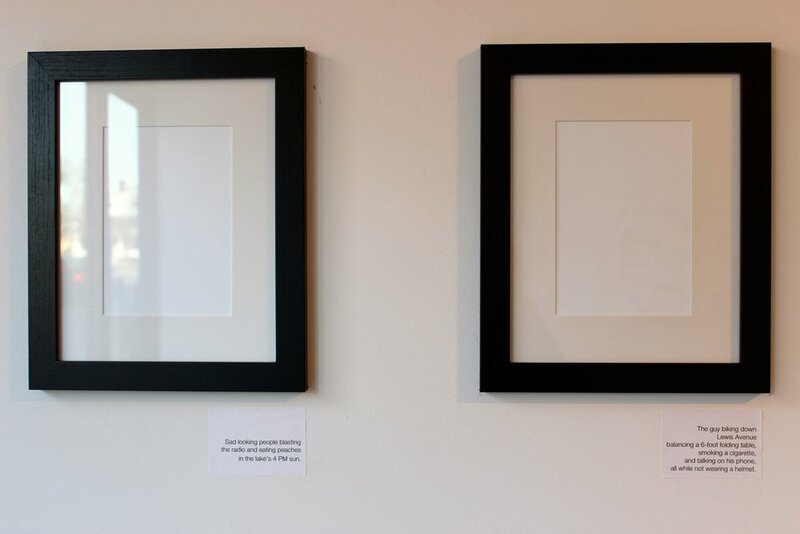 Two of 16 “blank” images with suggestive text captions. Installation of 61 surveillance screenshots, printed on transparency. In-gallery analog surveillance documenting participation. What is the pairing described by voyeurism? Things I’ve seen people do lately is an investigation of the pair-relationship inherent to voyeurism: what does it mean to be a pair when only the watcher knows that the relationship exists? The materials produced for Things I’ve seen people do lately consist of four interconnected parts: a dual-channel video sculpture and associated text-based poster, a collection of 61 screenshots from private surveillance streams throughout the world, 16 “blank” prints with imaginative text labels, and a participatory voyeurism exercise. 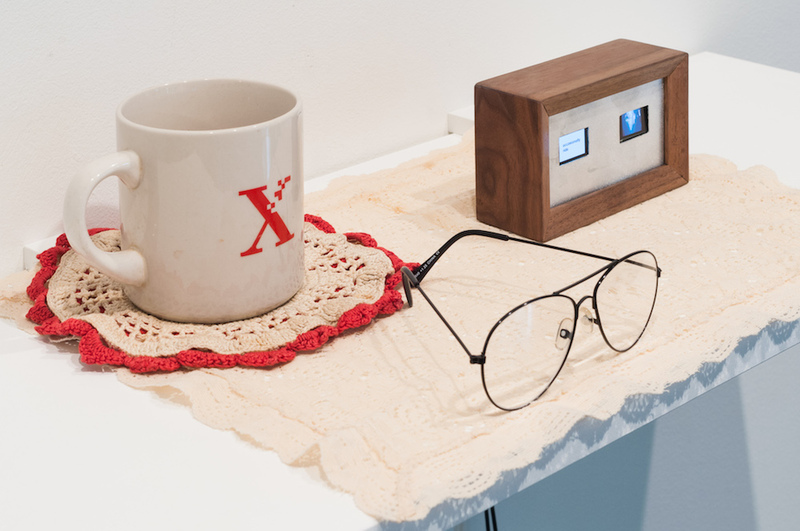 Things I’ve seen people do lately debuted as a solo exhibit at Salisbury University’s Art Gallery in October 2015. 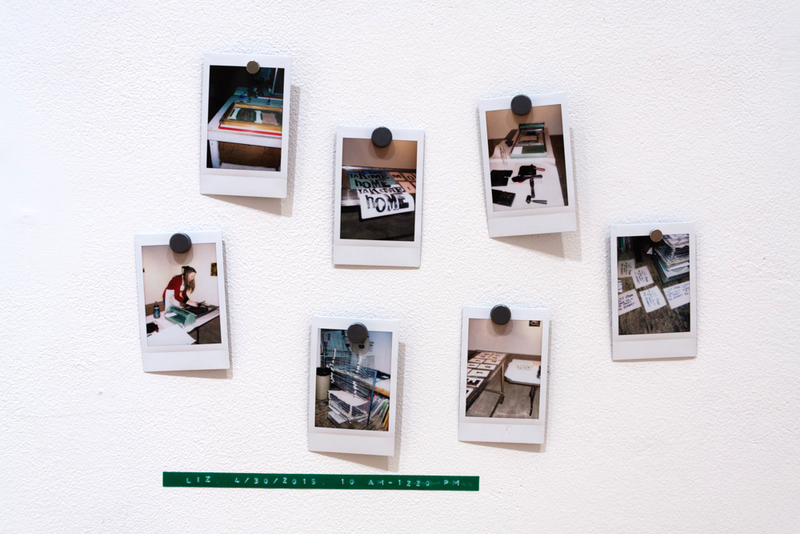 All exhibition materials were produced in residence at Lower Manhattan Cultural Council’s Workspace program. 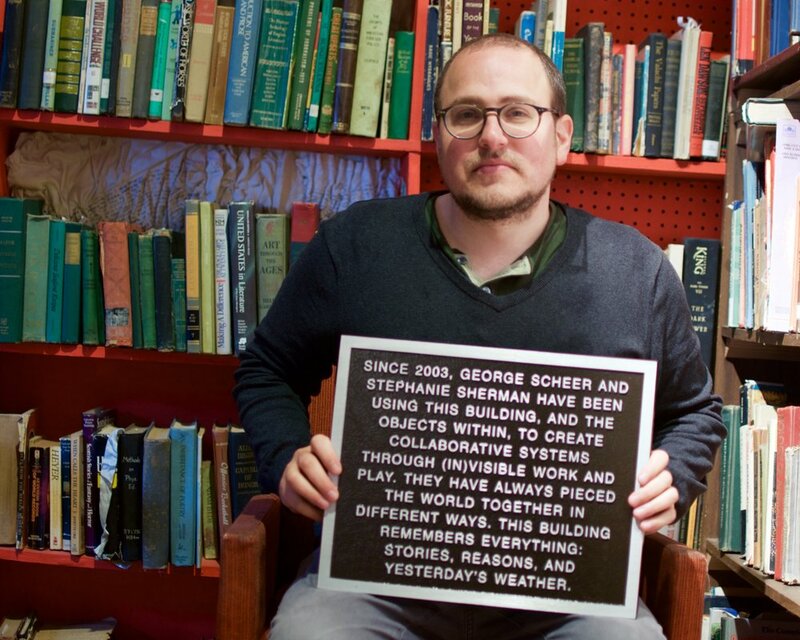 How do we build a place through shared labor over time? Cast aluminum plaques with bronze finish, audio interviews. “We walk the world two by two” is a series of four cast aluminum historic plaques that document on going two person exchanges along South Elm Street. 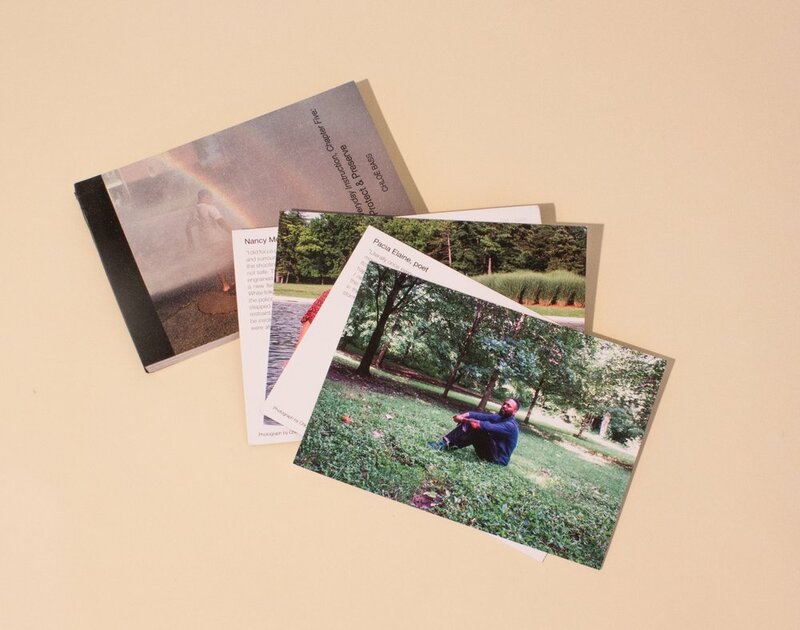 The project memorializes small moments of personal history from the everyday lives of community members. The goal is to make public otherwise unseen and unremarkable events, highlighting them as an essential element of how we develop place over time. The project is the third chapter of my ongoing work, The Book of Everyday Instruction, which explores one-on-one social interaction. For “We walk the world two by two,” I interviewed subjects in pairs, allowing the relationship between the subjects, rather than between subject and interviewer, to guide the process of forming and historicizing lived truths along South Elm. Two plaques have been installed at their story sites, and the remaining two will be installed by Spring 2016. This project can also be experienced as a Story Map through Knight Lab. Produced as a commission from Elsewhere’s South Elm Projects, funded in part by ArtPlace America. Mary Wells with her plaque. 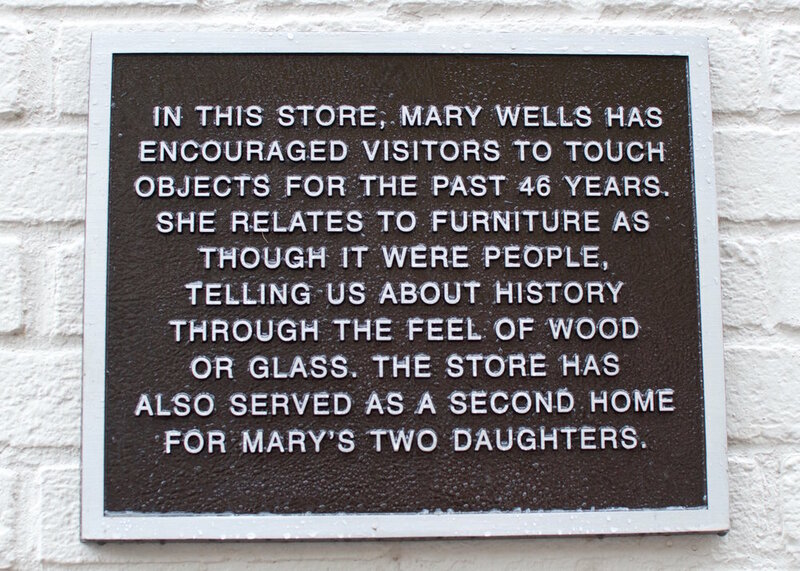 Mary Wells’ plaque as installed. Walter Jamison & Liz Seymor with Walter’s plaque. 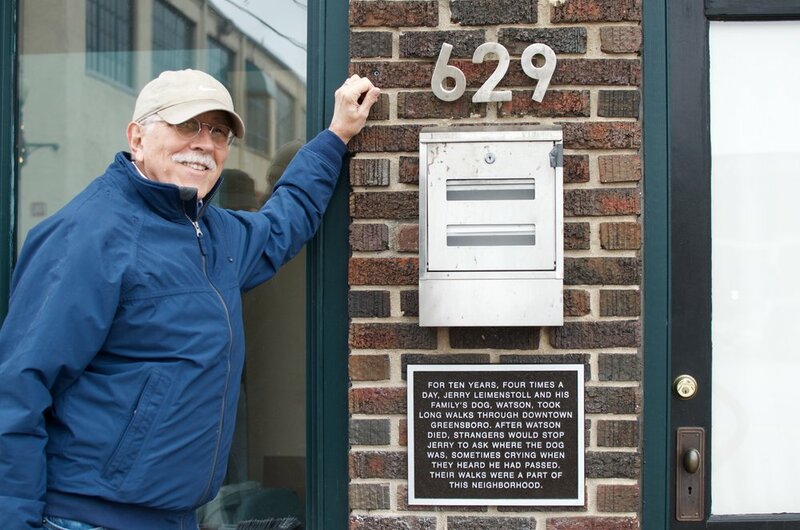 George Scheer with his and Stephanie Sherman’s plaque. A Glossary of Proximity Verbs (as installed at LMCC). What is the story told by the distance between two bodies in space? It’s amazing we don’t have more fights is focused on the accidental and incidental choreographies created by engaging with other bodies in space. This chapter uses the sociological field of proxemics to investigate forms of storytelling. The chapter’s title (“It’s amazing we don’t have more fights”) is a paraphrase of a quote from my mother about successful social behavior on New York’s subways and buses. 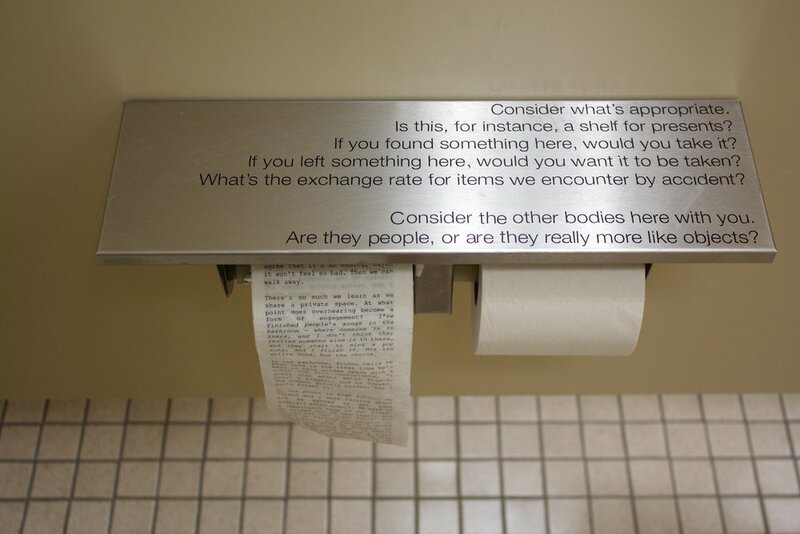 Chapter Four consists of two short publications: A Glossary of Proximity Verbs (Appendix A: Personal), and A Field Guide to Museum Intimacy (Appendix B: Pedagogical), as well as a workshop performance, and an installation in a shared, multi-stall unisex bathroom. There is also a pending series of short films. The workshop performance for It’s amazing we don’t have more fights premiered at the Museum of Modern Art in April 2016. All materials for this chapter were produced in residence at Lower Manhattan Cultural Council’s Workspace program. What is the relationship between people and safe places? 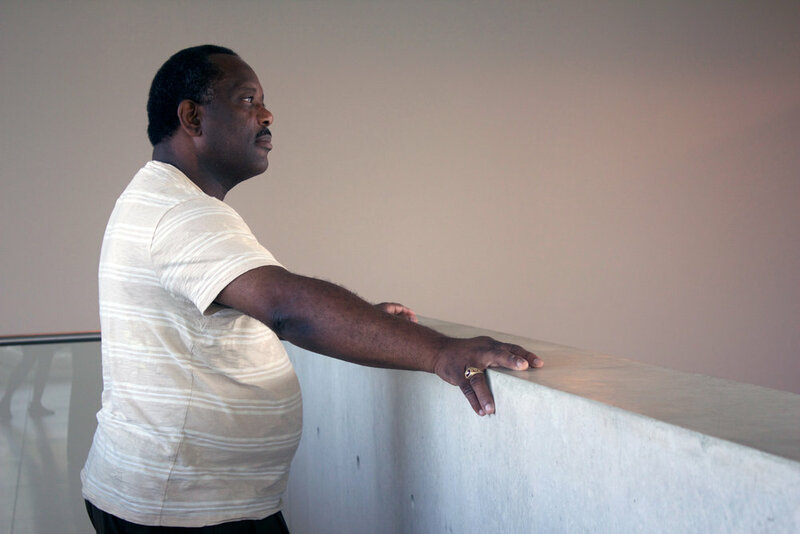 Protect & Preserve investigates the paired relationship between a person and a city, particularly focusing on the idea of safety. Do you feel safe? Where do you feel safe? If you could talk to someone else about being safe, who would it be? What would you say? How would you talk about it? These photographs and interviews will become the material for a postcard book. The project premiered alongside a performance-lecture about safety and empathy. Production time for this project is provided through a residency at the Luminary. The project premiered at the Pulitzer Foundation. Additional funds provided by an Artist Community Engagement Grant from the Rema Hort Mann Foundation. How do we share love between individuals and institutions? Chapter Six consists of a series of four diagrammatic photos representing different phases of love, a corresponding scent installation involving spices, a couples-counseling workshop for individuals and institutions, and a series of five conversations centered around an image-sharing game. These conversations were hosted by Independent Curators International (ICI) and featured special guests Doug Ashford, Bill Dietz, Tiona Nekkia McClodden, Lisi Raskin, and Jessica Lynne. 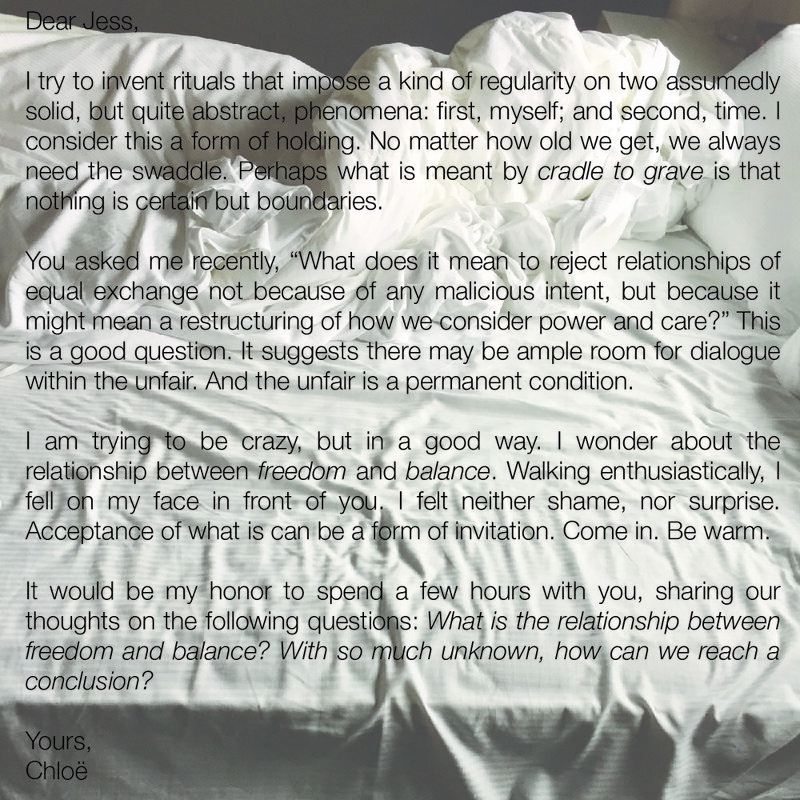 An e-book of the same title compiles and celebrates the two years (2017-19) of intimate, yet public discussions held by Chloë Bass and her friends, colleagues, and fellow artists—Doug Ashford, Bill Dietz, Tiona Nekkia McClodden, Lisi Raskin, and Jessica Lynne—at ICI in New York. How do we recognize an ongoing coupling in spite of change? 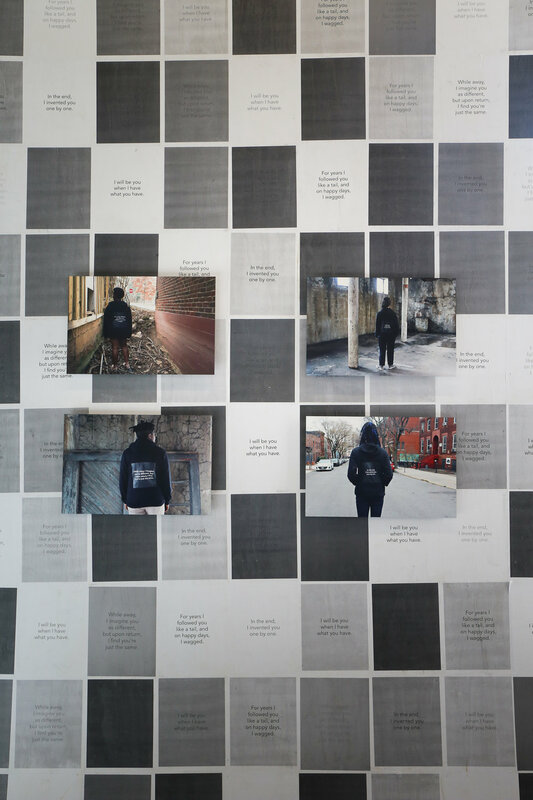 Subject to change without notice returns to the relationship between people and the cities they live in, this time focusing on subjective experiences of color as a way to track and share public space. The chapter’s title was taken from a line of text that appears on all historic and contemporary public transportation maps in New Orleans: subject to change without notice. This sentence also serves as a good description of urban life in the time of rampant gentrification: for the resident, local change often occurs without warning, request, or consideration -- something that happens to rather than with, a neighborhood. Chapter Seven consists primarily of a free phone app, City Palette, which is available for iPhone and Android. Through camera and location access, City Palette allows users to upload the colors from their own local environment. The app will choose a dominant tone to save from each user-submitted image. Users assign their own names to the colors they upload, and can view ‘nearby’ swatches from other users. Allowing users to generate and name their own color-coded swatches of New Orleans (and other cities) will reflect and convey an individualized and experiential portrait of urban space–not just what they see, but how they see it. Chapter Seven was funded by VIA Art Foundation through the residency and project support generated by Antenna's Spillways Fellowship. Do we invent the people we love? 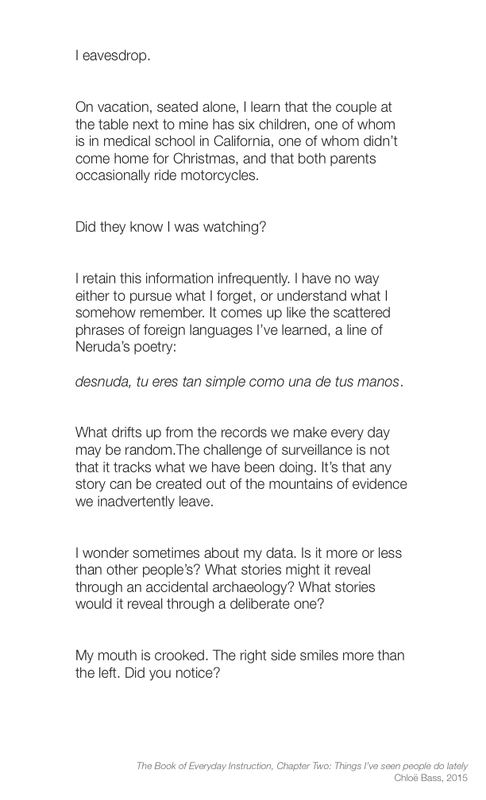 Concluding The Book of Everyday Instruction, Chapter Eight tracks the relationship between me and various audiences over the course of producing this project. Audience groups are divided into four major categories, each of which I have also “performed” as an aspect of making this work: students, curators, writers, and artists. The chapter focuses on the return to the self as an essential element for understanding the pair. For years I followed you like a tail, and on happy days I wagged. I will be you when I have what you have. While away, I imagine you as different, but upon return I find you’re just the same. In the end, I invented you one by one. These four sentences are represented on sweatshirts, in a photo series, on custom-printed Lifesavers candy, and as a text-based wallpaper installation.